Directions: From Costco/Walker Rd 8 miles, veer right to Sheldon Road, go approximately 1.2 miles to Transcendent Lane. Go 100 feet to Golden Dollar. About .2 miles up then down to gate at property. Approximate size: 275735.00 sq. ft. 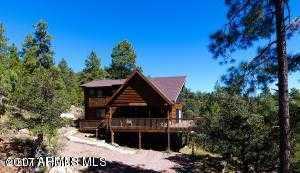 Please, send me more information on this property: MLS# 5908119 – $550,000 – 6705 S Golden Dollar Lane, Prescott, AZ 86303. I would like to schedule a showing appointment for this property: MLS# 5908119 – $550,000 – 6705 S Golden Dollar Lane, Prescott, AZ 86303.